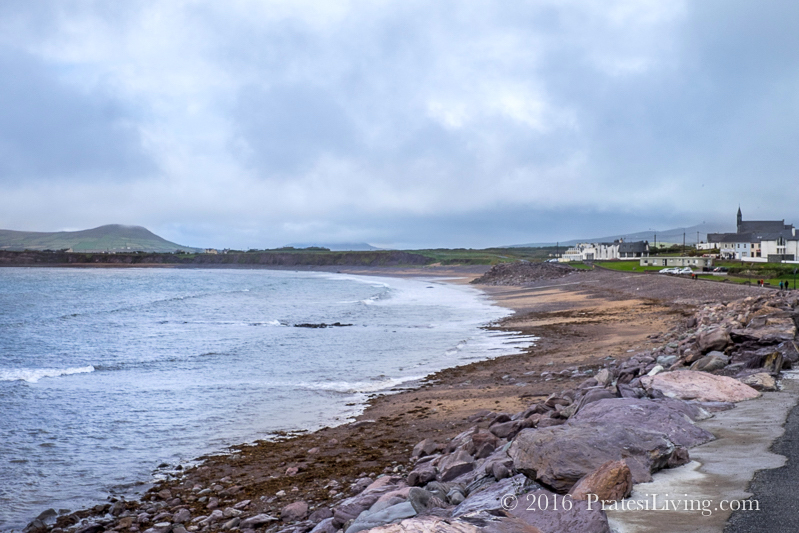 Majestic views, dramatic rocky coastlines, rolling hillsides and farmland with more shades of green than I could ever have imagined – these are the images of Ireland that have stayed with me since our visit last fall. 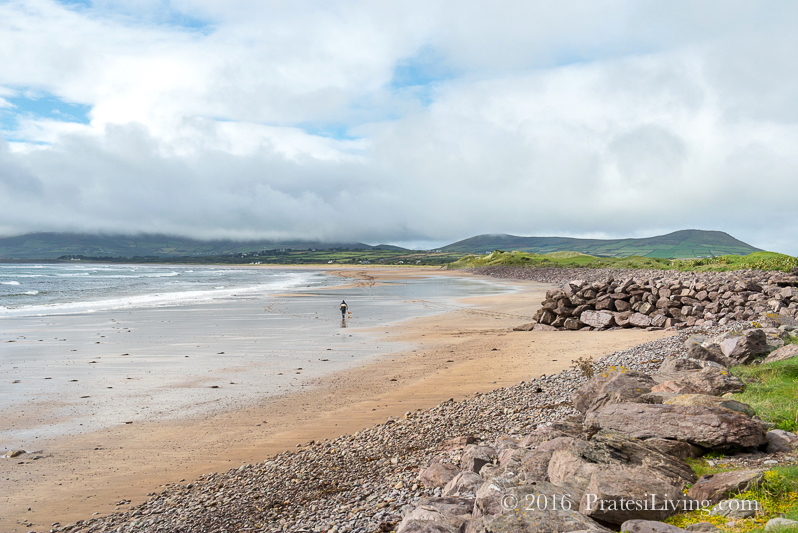 It’s a place that warms the soul and stirs the heart with its breathtaking landscapes and scenery, rich history, culture, and warm and welcoming Irish people who invite you to stay awhile and share a pint or two. 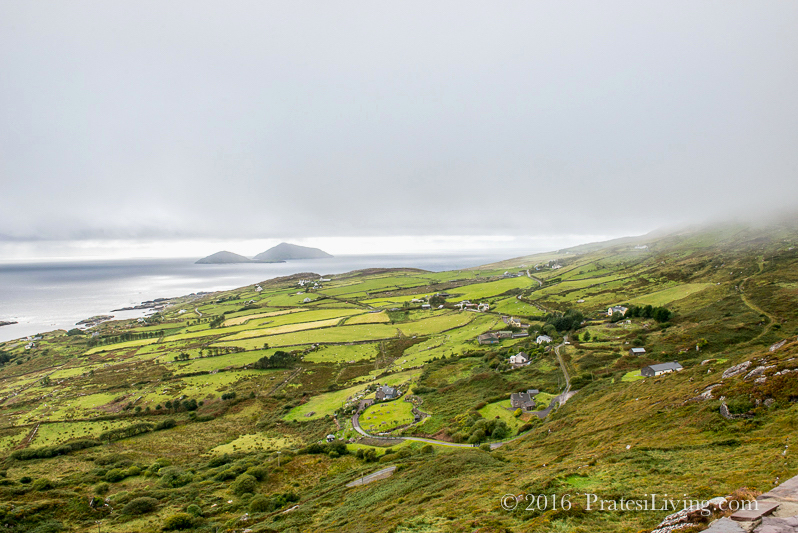 If you read our earlier articles on the Emerald Isle, you will know that we were quite smitten with Ireland. Not only was the country an extraordinary place to visit, there were also several properties where we stayed that really wowed us. These resorts were so beautiful and inviting and offered so many onsite activities, it was hard to decide between staying at the property versus going off to tour the local towns and surrounding area. One of these properties was Mount Juliet in Kilkenny, with its romantic history, acres of lush farmland and gardens, and its Michelin star restaurant, The Lady Helen. 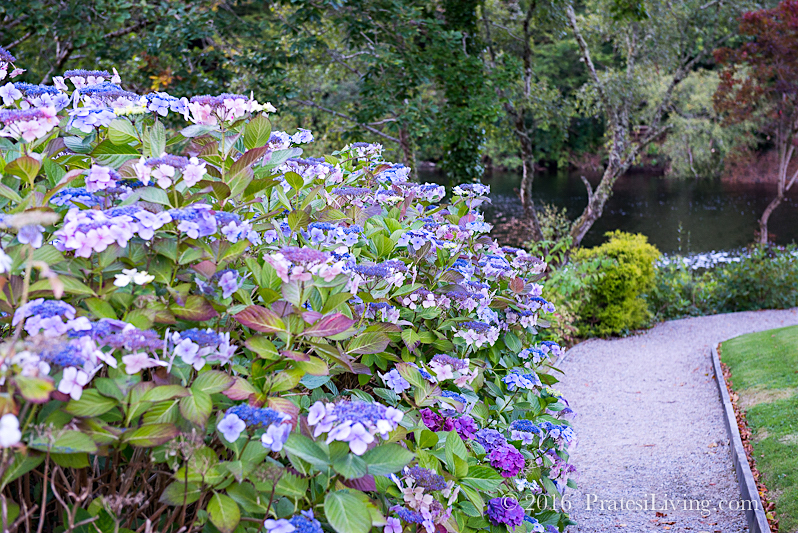 Another was Sheen Falls Lodge in Kenmare. 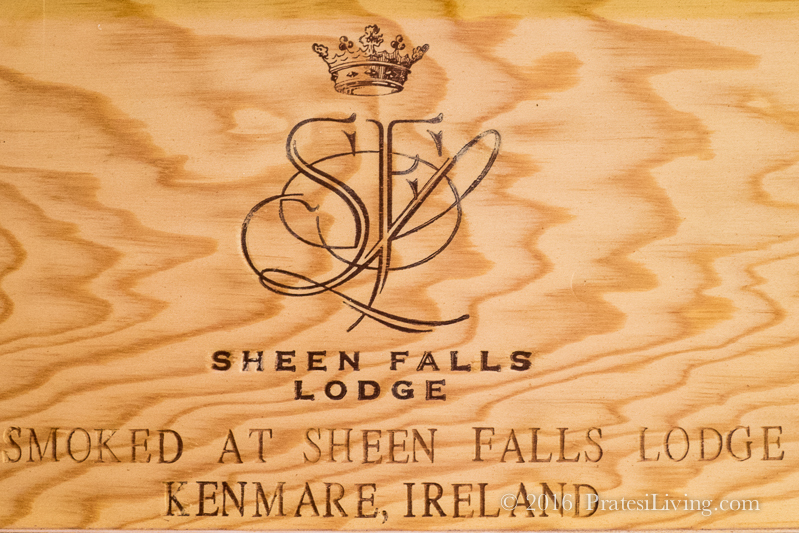 Sheen Falls Lodge is an award-winning and luxury 5-star Relais & Chateaux property. 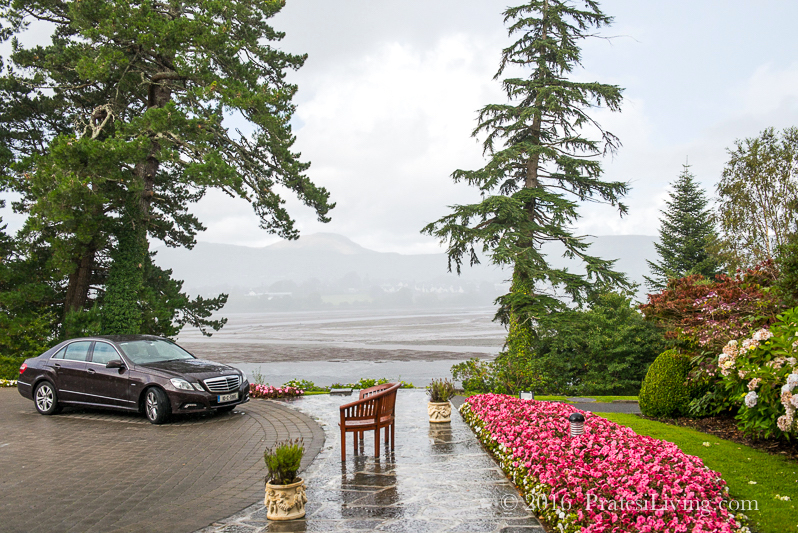 Located just minutes outside the town of Kenmare in Co. Kerry, it’s ideal for driving along parts of the Wild Atlantic Way and sits between the Ring of Kerry and the lesser-known Ring of Beara in south west Ireland. The setting for this resort is stunning. Situated on a 300-acre estate, one of the prettiest views of the property overlooks a stone bridge and a stretch of the 15-mile long River Sheen. 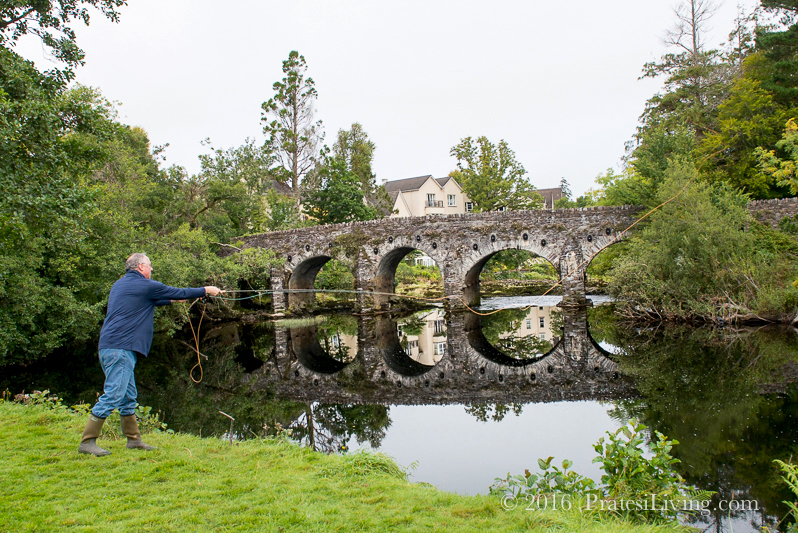 Guests can go fly fishing for salmon or trout in these waters, just one of the many activities available at the resort. Outdoor enthusiasts can try their hand at Falconry, the Ancient Sport of Kings, clay pigeon shooting, or horseback riding. 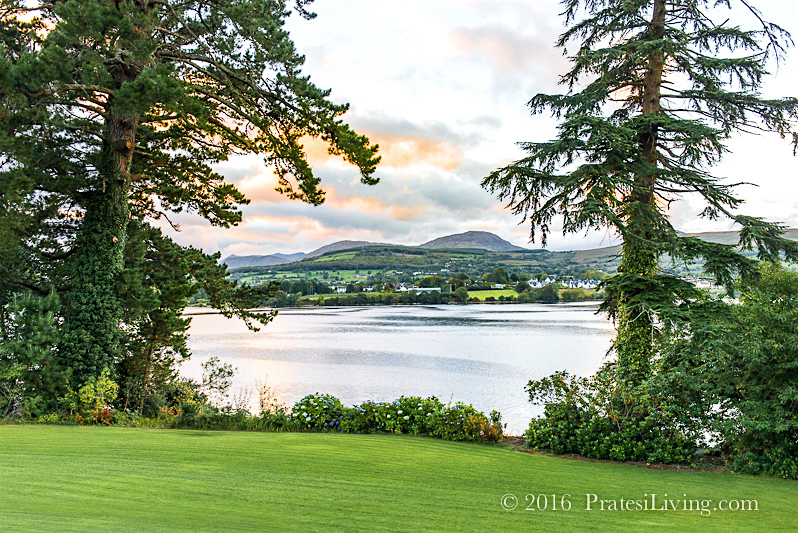 There is also tennis, golf (nearby), hiking, kayaking on Kenmare Bay, or walks on the property to see the gardens and the hidden Queen’s Walk, a plantation built for Queen Victoria’s visit to the estate in 1861. 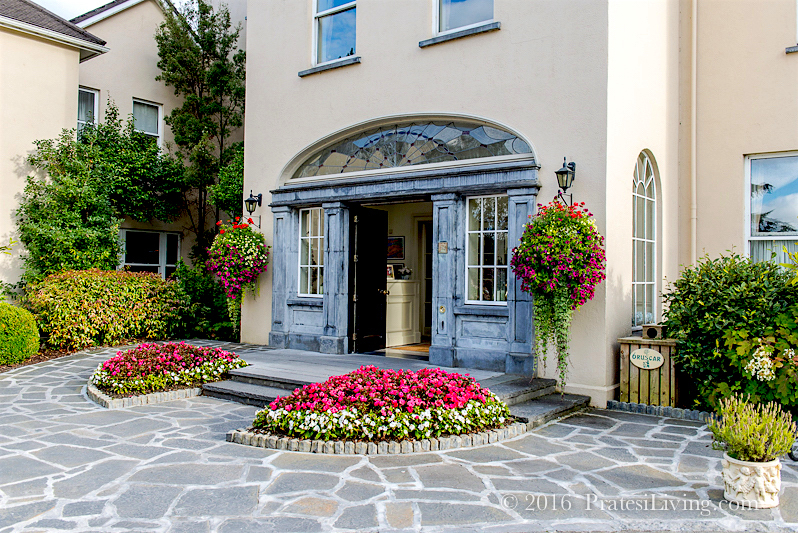 For relaxing indoors, Easanna Spa has been named one of the best hotel spas in Ireland. 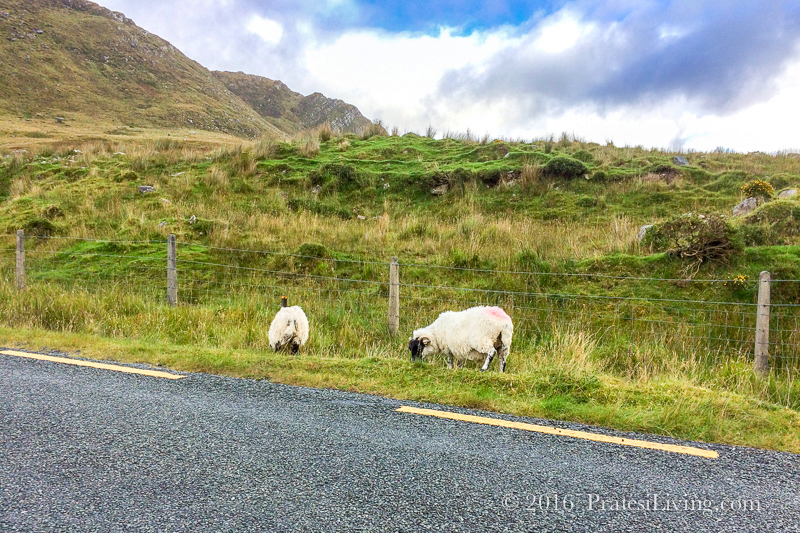 Beyond the endless beauty and charm of Ireland, one of the biggest surprises during our travels through the country was the food. 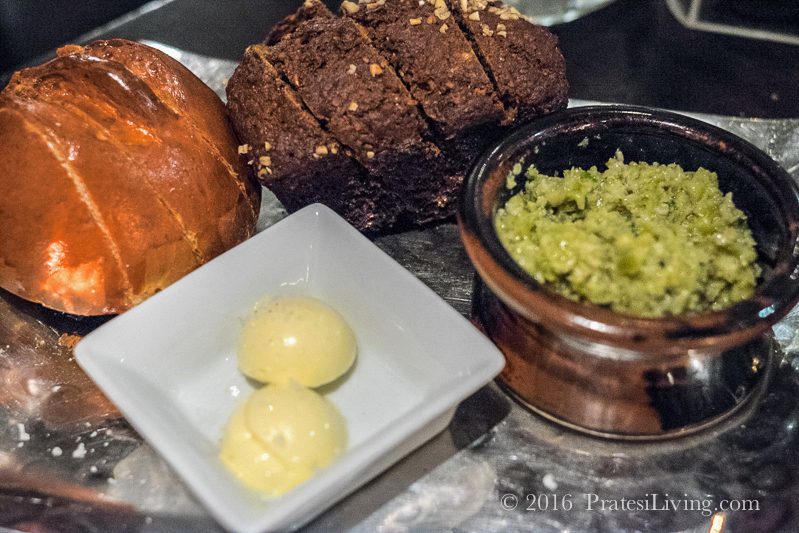 Yes, pub food was pretty much what you might expect, but at the resorts, in particular, there was an impressive level of sophistication, artful presentation, and a focus on healthier dishes at their upscale restaurants. 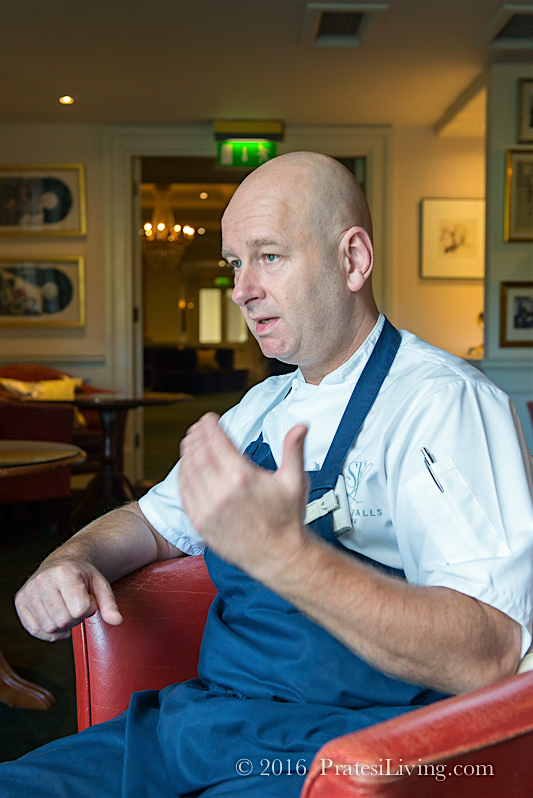 Philip Brazil, the head chef at Sheen Falls Lodge, told us that many changes, similar to those in the U.S., have occurred over the last eight to ten years in Ireland, especially as travelers want to eat healthier, fresher, and local foods. They also are less interested in formal dining. With the request for lighter fare (with less butter and fat) and a more casual dining experience, this chef has responded by combing two dinner menus at The Falls, offering choices depending on the guest’s preference. 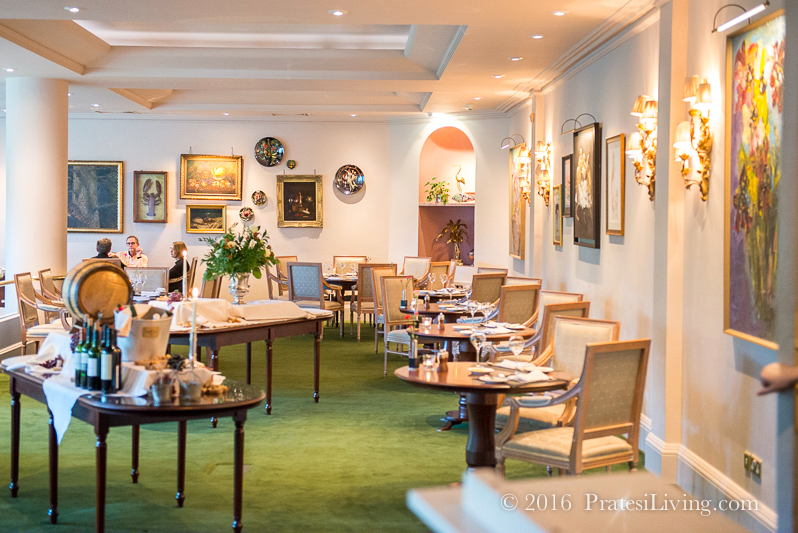 One option is for a lighter casual menu and the other is for a fine dining menu, which features either two or three courses or a seven course culinary experience. As one of the best restaurants in Kenmare (as well as in Ireland), this is a unique concept for a 2 AA Rosette restaurant, but one that has worked well. One of the signature dishes on Brazil’s menu, the smoked and cured Kerry Salmon, is made on the property at their smokehouse. Once a hunting lodge, this building is now used to smoke all of their salmon and other smoked meats. 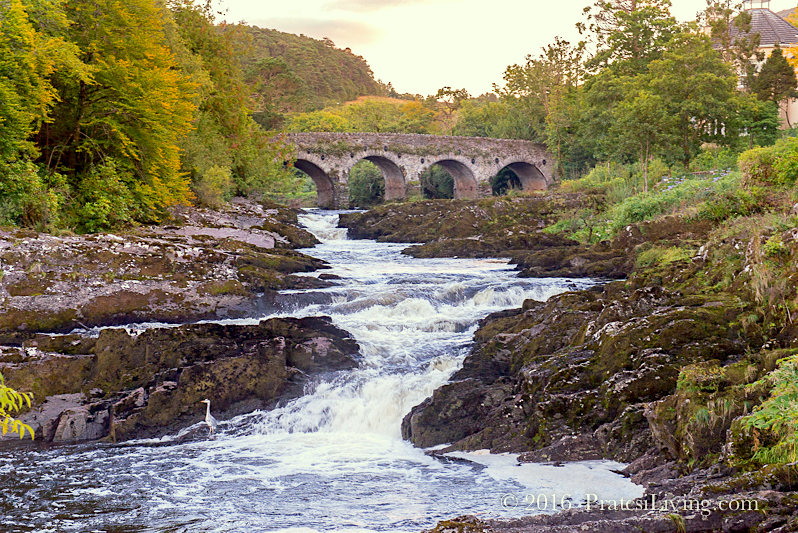 Chef Brazil told us that about ten years ago, the Sheen Falls River was teeming with wild salmon, but things have changed over the years due to poachers and the dwindling salmon population. Now, he sources naturally fed, organic farm-raised salmon from the west coast of Ireland in the Atlantic and it’s brought in fresh from Clare Island and Castletownbere. For the curing and cold smoke process, Chef Brazil said this salmon is better suited than those caught in the wild because the flesh is much firmer. 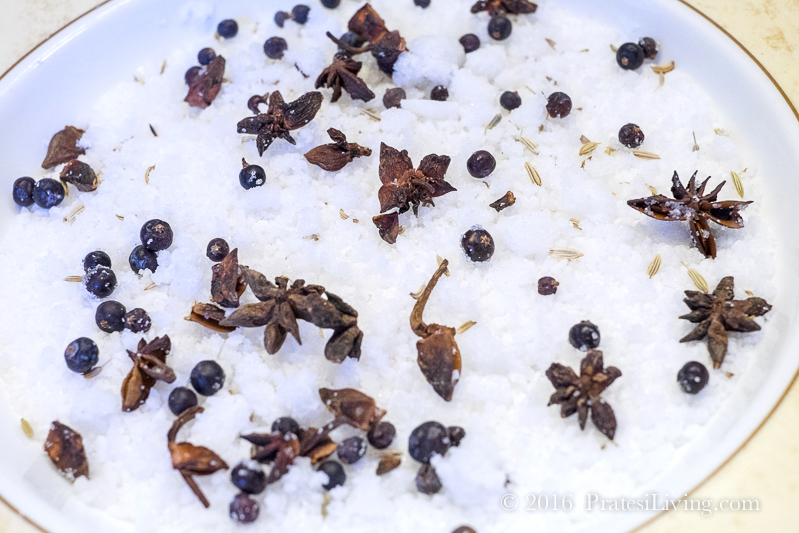 His special cure for the salmon includes a mixture of 75% sea salt and 25% castor sugar and the unique spice blend is made up of star anise, fennel, and juniper berries, which are crushed in a blender. 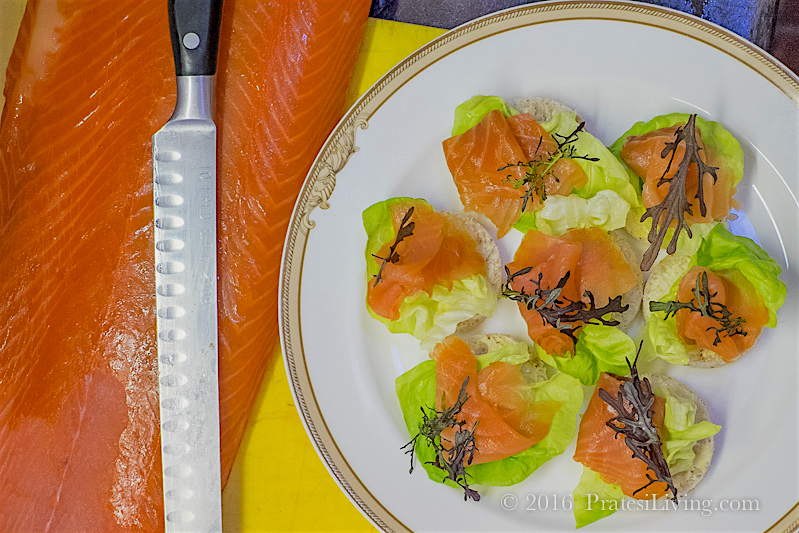 He uses oak chips and dust shavings to create the desired smokiness and the salmon is then cold smoked for approximately nine hours. The final product is slightly salty and a bit sweet with a subtle smokiness. 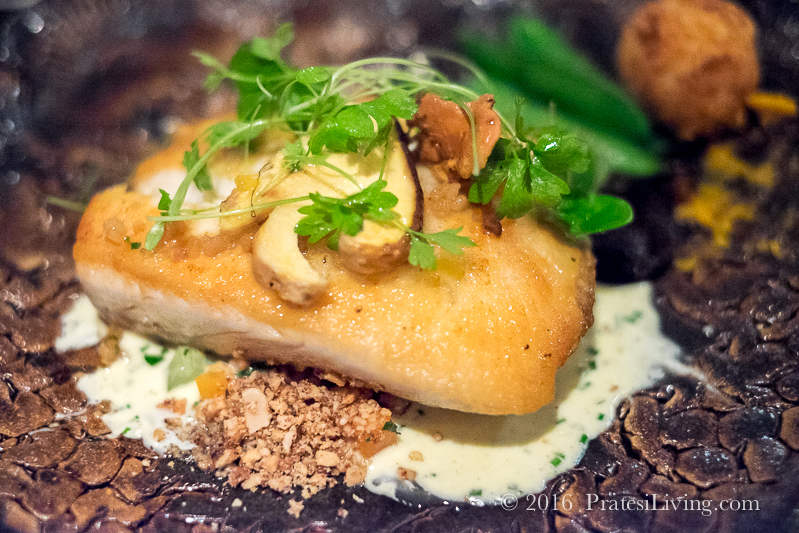 A special treat, this salmon was noticeably different in that it was quite delicate in taste and texture. During wild salmon season, if guests catch a fish with Brandon Gilley, the resort’s fishing guide, they can tag the fish and arrange to have it cured and smoked and take it home with them upon their departure from the resort. The entire process takes about three days, so they have to allow for enough time for the cure and cold smoke. Once home, it will hold in the refrigerator for 4 to 6 weeks or 3 months in the freezer. 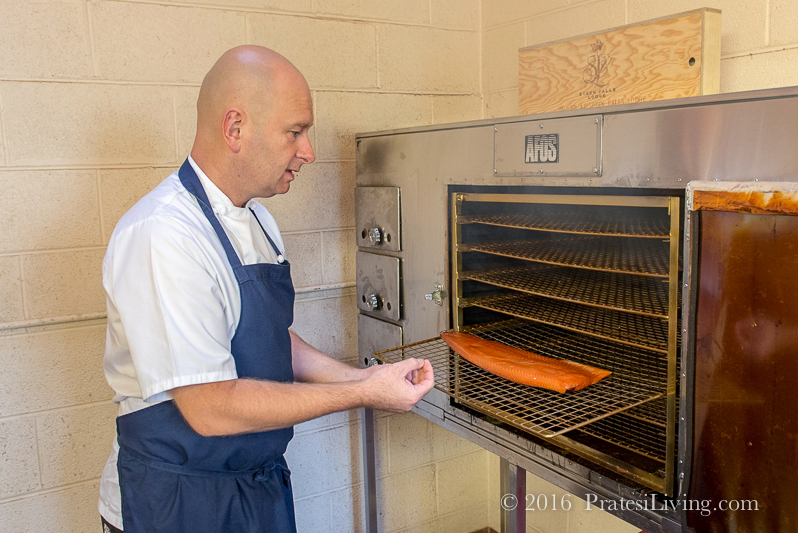 Guests at Sheen Falls can book the Smokehouse Experience to learn the process of curing and cold smoking salmon from start to finish. They can also book a tour of their impressive wine cellar. What could be better than pairing a wonderful smoked salmon with a lovely Burgundy or Pinot Noir or a richer red wine such as a Syrah? 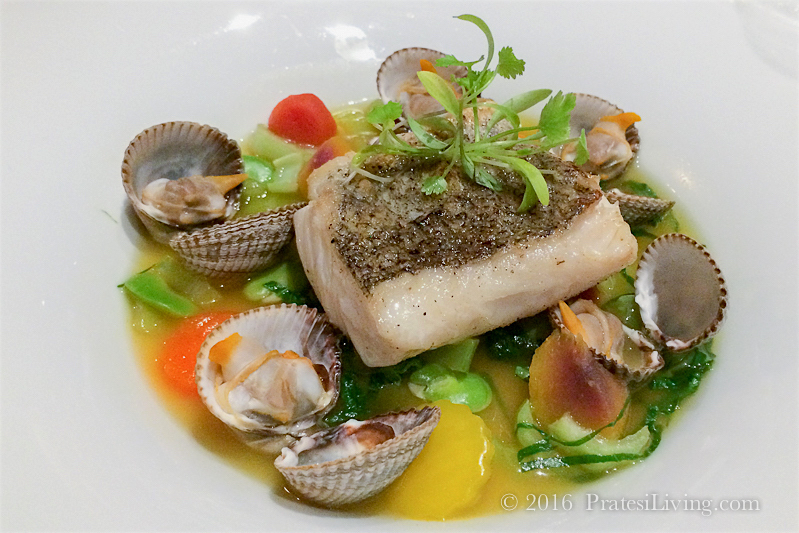 That sounds like the perfect combination of culinary activities for a food and wine lover. 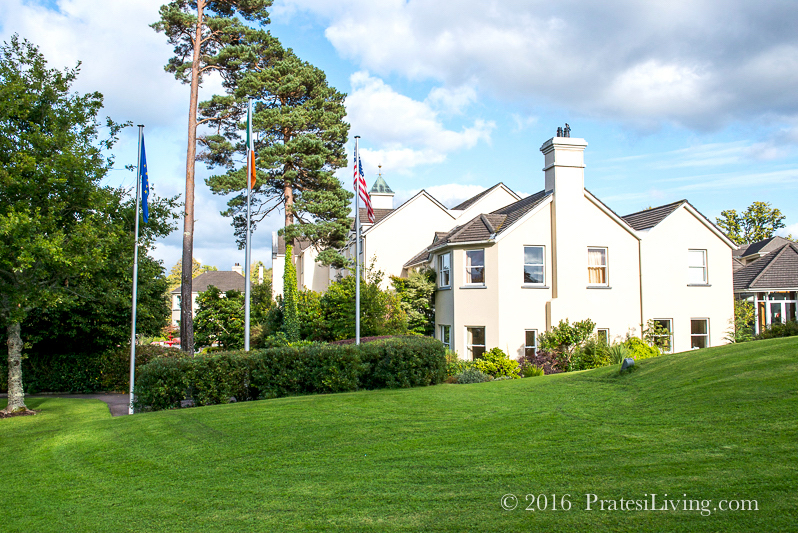 If your travel plans include a visit to Ireland and a stay in Kenmare, Sheen Falls Lodge should be high on your list of places to stay. With its beautiful grounds, luxury accommodations, excellent service, extensive list of onsite activities, and impressive dining, this is another luxury destination property where you will want to linger longer. 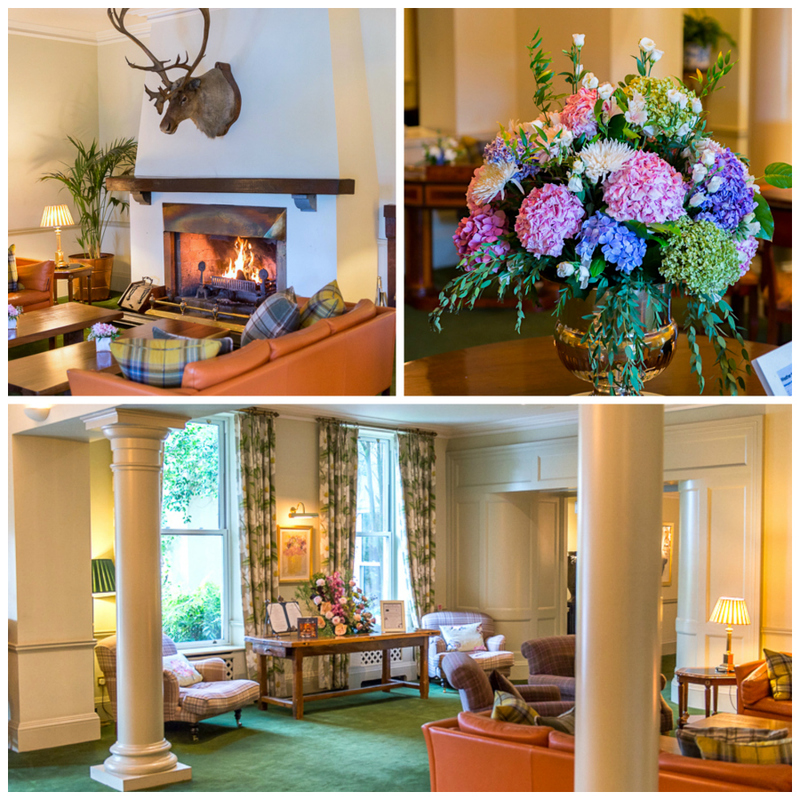 Gwen, your blog is a treasure trove of beautiful things — scenery, accommodations, experiences and food! Wonderfully written and photographed, it tempts me to stay at my computer much longer than I should. In fact, our visiting grandson said, “Grandma, I’m really worried about your computer time.” (!) 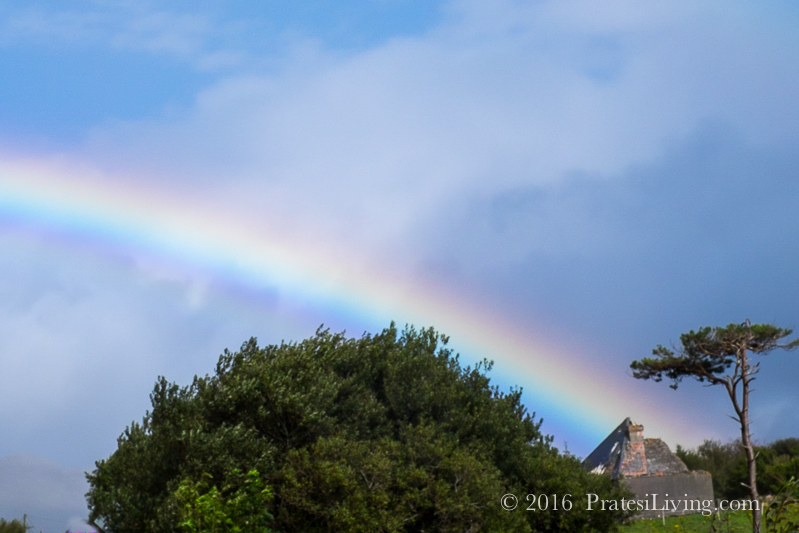 I ventured to the Kilkenny link though, and was awed by what I saw. Thank you for such a great treat.